photo-eye is honored to have two of our staff contribute to the list that brings together over 30 photobook specialist to present a view of contemporary American photobook publishing. photo-eye’s Book Division Manager Melanie McWhorter and Auction Coordinator Eric Miles have taken on the difficult task of culling some of the best books of the last quarter of a century. Both contributors open with a statement of their selections and we are honored to present Melanie McWhorter's list today with Eric Miles' to follow next week. two images per page unarchivally mounted with masking tape and annotated below in handwritten text showing the vehicle’s travels from US customs to the Arizona workshop, the search for various auto parts, and the numerous stages of rebuilding in the auto shop where the artist/mechanic makes a rare appearance. In contrast to the purposeful documentary nature of the bound pages, Cohen inserted heavy stock 9x7 inch glossy “pin-up” plates of the other aspect of the project on the body. The photographer’s self-portraits show her in various locations in the shop in brightly colored, lacy and shiny bikinis reclining and straddling her automobile/artwork and often glaring seductively into the camera while the other mechanics look away from the subject as if her presence is some secret to all but her and the reader. This book is not only a documentary piece, but a complex object that creates a dialogue about the many complicated themes surrounding the project including masculinity and femininity and useful objects versus artful objects. Bodywork blurs many of those lines. Michael Schmelling notes that the first thing he does when he lands in Atlanta, exits the airport and hops in the rental car is turn on the radio and save two stations to the preset. Atlanta is a great city with a rich music culture, which made it an ideal location for Schmelling to realize his desire to translate an album into a photobook, specifically by Outkast’s 1998 record Aquemini. What makes this culture so intriguing? Why would he select this album over numerous others? The city of Atlanta has a mystique associated with its hip-hop culture, its constantly changing sound and its respective culture and fashion: it is dynamic and fast-moving. For an object as limited in its fixed nature as a book to convey such a feeling about this area of the South, it must not be static in its design. It must flow in style to compliment the subject. With the help of Rodrigo Corral Design, Schmelling and his publisher Chronicle Books packaged the artist's images in a book that narrows from an open title of Atlanta to focus on a very specific culture within the city, but that extends beyond simply the music. The full-page bleeds, collages and other black & white and full color images show flyers, song lists, tattoos, pit bull puppies, and strippers while the text pages set in a typewriter font illustrate the photos with interviews connecting them to the rappers. 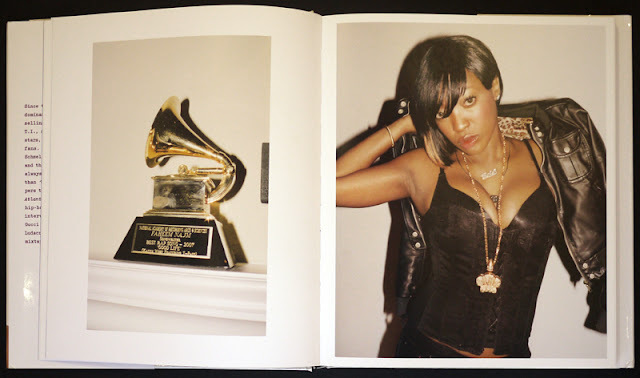 The book finishes with access to a digital download of songs by many of the artists whose words and photos appear in the book. The Nutshell Studies of Unexplained Death is a cross between the cute and the macabre. Corrine May Botz photographed details of the miniature custom-made crime scenes made by a woman raised to fit into the conservative roles of her gender the early 20th century. Botz writes the 27- page, well illustrated and footnoted bio of Frances Glessner Lee, the inventor of the nutshell studies. She frames Glessner as a woman who although seemingly following a convention of the time, as in the works of her contemporary dollhouse maker Mrs. James Thorne, used her skills and craft to reform the teaching techniques of criminal investigation for future generations. The staged rooms presented in the book are still used today and thus the solutions to the scenarios are not given, but a few interpretations and reviews follow all the photographs of the models in the afterword of the book. Corrine May Botz’s photographs follow the introductory bio and present each miniature room photographed in detail showing not only the scene, but Glessner’s attention to detail, capturing construction and composition of the furniture, wallpaper, lacey doilies, children’s toys, calendars and the crime victims' bodies, depicted as bloodied, hanging from a noose or decapitated. The book thoughtfully presents the evidence for each scene, followed with Botz’s photos and a diagram of the crime scene printed in white text on black pages all set to resemble turn of the century newspapers. Berlin in the Time of the Wall is like a chunk of concrete. 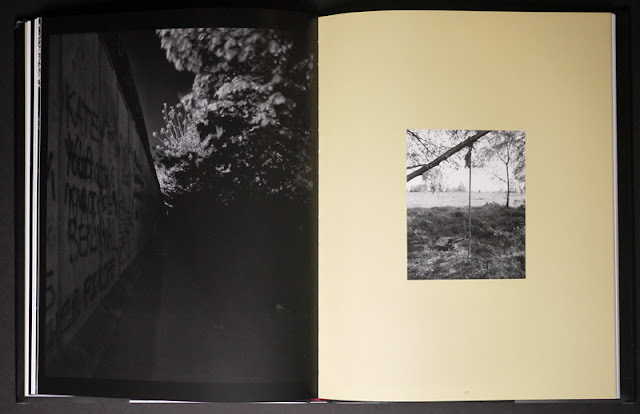 It is a thick book weighing over 9 pounds when combined with its complimentary volume Putting Back the Wall and forms The Complete Berlin with photographs by John Gossage and texts by Gerry Badger and Thomas Weski. The first volume published in 2004 is a result of the photographer’s trip to the region in 1982, a visit in 1989, some three weeks before the wall came down, and the final two chapters on a trip in 1993, some years after the fall. The images are representative of his classic use of heavy blacks that create an intense mood and add an even heavier weight to the history of this place. The second volume in this set was an attempt to revisit the locations previously photographed along with the help of essayist and friend Gerry Badger and writer and publisher Michael Abrams. With most of the wall gone, the journey is less history and more of a forged narrative based in the artist memory and his memory of this place. Gossage’s publications have had an intimate connection to the city of Berlin with many of the photos in The Pond and all of those in Stadt des Schwartz resulting from his interactions with this location. As Badger notes, Berlin changed Gossage, it politicized him, now “photographing with the darker eye of the forensic archaeologist.” Spreading across so many years of Gossage’s photographic career, The Complete Berlin not only presents one man’s view of a very important time in the history of a city, but provides an expansive look of the artist’s focused view of the details of the world. Raymond Meeks has become known for his handmade book objects. Nevermore is one of the few books that does not appear on the surface as a directly autobiographical piece for the artists, but the stark landscape and ominous ravens raise questions about the artist’s relationship to this environment and his thoughts. Nevertheless, this book is part ode to the book’s namesake and part artistic travelogue. It is a journey through the inappropriately named country of Greenland. 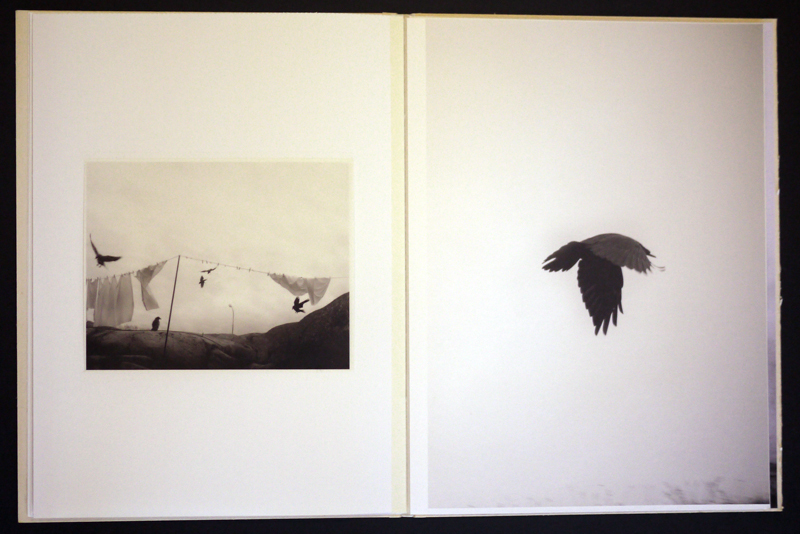 The artist book was printed in an edition of only 25 copies and includes five tipped-in black & white prints made on transparency film and the print Kangia Icefjord, Greenland. It is difficult to put just one Raymond Meeks book among the most important contemporary photography books as many of his books – Sound of Summer Running, Carousel, who will stay, A Clearing, as well as his collaborative Orchard Series published with Kevin Messina of Silas Finch – could easily make this list. His books have inspired many in the photographic community to question the nature of the photographic book object and for many to strive for originality their own photobook publishing. Other Nature published in 2010 by The Ice Plant was Ron Jude’s exploration of man’s question of home in the world surrounding us. He contrasts landscapes often hosting a deserted manmade object with scenes from hotel rooms and creates an encounter with the familiar in the unfamiliar place. Jude shows us our attempt to make the unfamiliar home and questions the foreign name of the recreated home away from home. The closely cropped interiors create a stagnant, trapped feeling while the exteriors lift the weight only slightly and entangle us in vines and tree limbs. The reproduced images are only marginally larger than the 4x5 negatives and offer a detailed exploration of each scene. The book is a fluid movement between the two natures and explores the complex ideas of the duality of our relationship with home. Beautiful Ecstasy is a poem. It is a dirty joke. It is about nothing and everything. It is the joy that comes with banality. 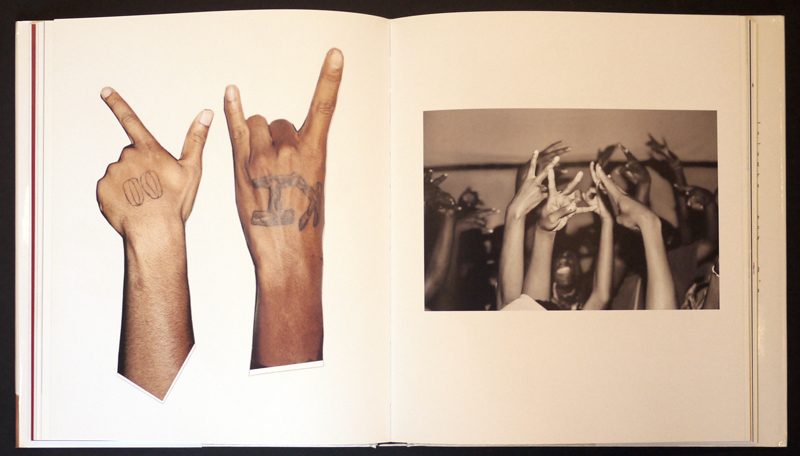 Michael Northrup’s book could not be more perfect. The gutter dissects each image in a way that would be annoying in any other book. Yet, designer Paul Sahre is able to divine something from the images. He compounds that with a title page that does not finish until the end: half in front and half at the end like the beginning and end of a life wrapped up in a book block. I used to giggly call Northrup’s style “redneck snapshot aesthetic” as the book is doused with themes/images that remind me of home: children donning rattails; the shirtless men on speed boats bearing gold chains, or more shirtless men in a group of four and another with hand in sink of water; or the bare-chested women in field of corn. Upon closer examination, his work could be grouped with the aesthetically similar images of the quotidian life of any photographer now very popular in the book publishing world in the last few years, but no. Northrup is different. Each image has a soul, if that is the correct word, somewhat removed from its religious connotation. Each one has a depth that goes beyond the snapshot and, all combined go beyond the artist’s vision. The result is a book that compiles these into an object that not so politely makes you work for the viewing. 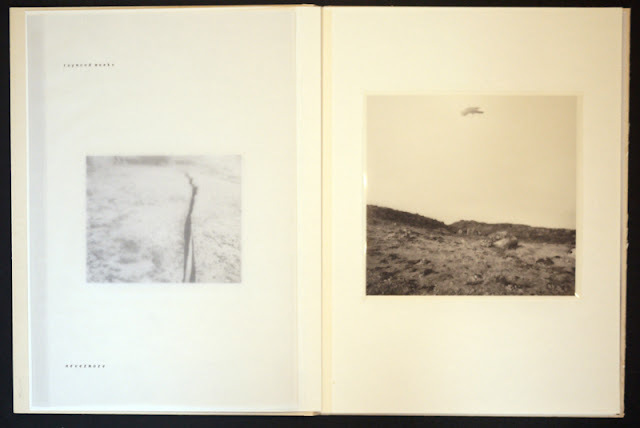 Petrochemical America could have simply been another monograph for Richard Misrach, but understanding the importance of the topic, the photographer chose to use the book medium for education about our complex relationship to the petrochemical industry and its products and byproducts. The book highlights the region called Cancer Alley in the southern United States running along the Mississippi River. 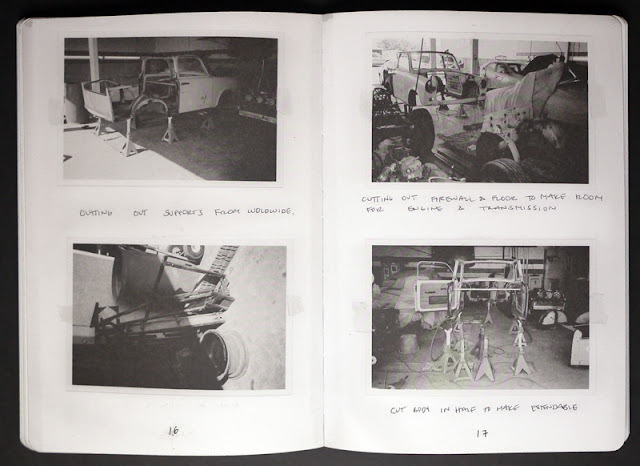 The first section shows Misrach’s photos taken in 1998 with titles and captions referring to the historical, economical and political consequences of the industry. The second section of the book titled “Ecological Atlas” and additional insert “Glossary of Terms & Solutions for a Post-Petrochemical Culture” are what make this book go beyond the artist’s monograph. Misrach along with designer Kate Orff and her team created a throughline that considers complex issues relating to the extraction, storage, disposal, distribution and refining of this finite resource and the multiple ramifications of this highly political and controversial industry in brightly colored illustrations that often incorporate Misrach’s photos for context and additional graphic elements. 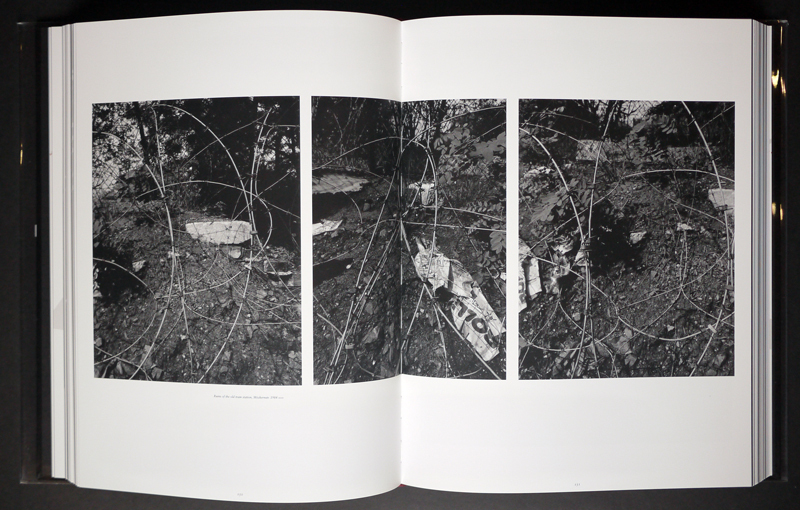 By incorporating not just photographs, but interviews, narratives, graphics and additional research in a photobook, Misrach has expanded the purpose of the object while adding another intense and important publication to his long list bearing his name. Jim Reed and Easter Trouble are new to me. Reed has published a few books now and promises that he has no shortage of ideas for future books. I hope so. 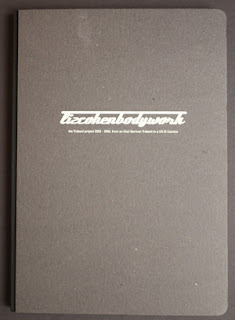 He has contributed this thoughtful project Working Memory in one of the most intricate designs I've seen in photobooks. The limited edition book only available in 25 copies is a brief story of the current life of artist and former songwriter Shirley Jorjorian who suffers from dementia. Two exterior boards, each with two holes to make a place for the purple ribbon, hold the book together. The interior provides a wealth of photobook treasures: purple folders each with a photo held by its corners inserted into slits in the front of the folders, printed folios with scanned papers and other objects from Jorjorian’s life and Reed’s photographic documents of her home. If we are to leave memory behind, we are to lose who we are or at least who we know of who we are. Philosophers argue this and photographic writers place a great importance on the theme of memory within the history of the photographic medium. This book sensitively approaches one person’s struggle with the loss of memory and its design models a personal method of organization while creating an experience for the reader. For years Todd Hido was known as the photographer of the suburban night, but he also did portraits and nudes. They were different than any I had seen. The nudes were dark, too, and a bit voyeuristic -- how could they deviate much from Hido's other work, the photographer standing outside our homes and peeking into our mundane world on the periphery of some big city or just outside of nowhere, with nothing to do but watch TV at night, the weird glow emanating from our windows, filtered by cheap drapes. I lusted for a book of the nudes. Then Hido and his long-term publisher Nazraeli gave me my wish, but not just that: they included some of the building exteriors in the bright sunlight, on foggy days and in the artificial glow of the streetlights. And also interiors of hotels with glowing, non-discernable television screens topped with bike riding trophies, and rooms vacant save a few abandoned items. And, finally, they included the nudes: women in varying states of undress, all posing seductively, looking longingly into the camera. The book also cleverly mixes the mediums of black & white and color. It was not just the eye candy that I longed for, but a dialogue, a narrative. Hido, dare I say like many artists, was influenced by the works of Raymond Carver and how apropos that this book finishes with the Carver poem Energy, where Carver refers to “the ancient thing… that pulls us relentlessly on.” This book’s narrative, like that ancient thing, leads us through a work of fiction and beckons us to go on to the end.